EVERY single one of my bleeding heart liberal white friends overwhelmingly/Only "hookup" with mixed/light skinned black women, they'll often described them as looking white but darker(i.e. white features), or having light eyes. Go on any message board that is geared towards men and isn't dominated by minorities, look up topics relating to interracial relationships and black women. Maybe darker women with white men just stand out more but the idea that white men prefer darker women is laughable. Exactly. 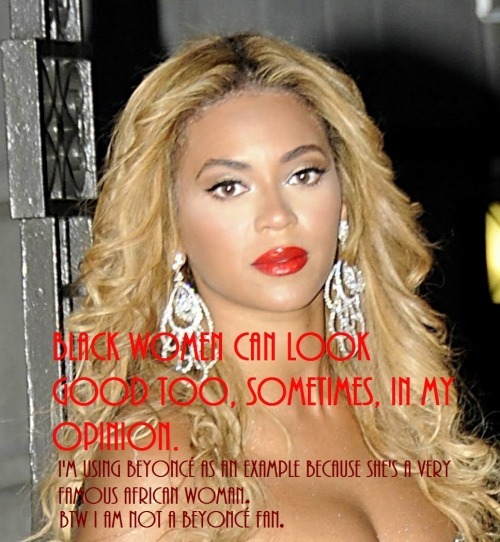 A lot of white men behave as if black isn't beautiful unless it's "improved by white." You think this mindset isn't rampant in white people? This is a whole 'nother can of worms but very relevant. There's black people in Brighton?? Lol not because of her not being able to get a "white knight" ( ), more like I pity her because that line of thinking is pathetic. I was being wry and British but it doesn't come across when you write it damnit..
maybe its cause I'm also relaxed??? I heard they only liked Natural hair too. Should I do a big chop to get my white knight? I need answers. Opining on a black hair board about your inability to catch a white man shows poor decision making skills. There's tons of "interracial dating sites". Please go find one OP. I recommend you go visit beyondblackandwhite.com and keep it moving.